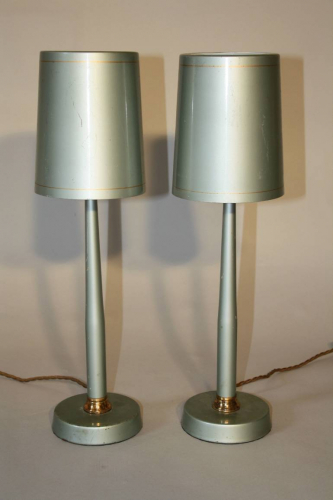 Pale sage green in colour these lamps date from c1950 from Sao Paulo, Brazil. Rewired and PAT tested for UK use. Some ageing of metal consistent with age.